Nordic Walking’s winning combination of improved posture, a unique 4-Wheel-Drive type action and shock absorbing benefits is helping many individuals to walk comfortably again. Nordic Walking burns more calories, helps maintain proper posture and takes the load off the lower back, hips, and knees. 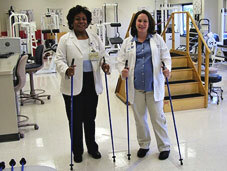 Using correct length Nordic Walking poles radically reduces the pounding and stress to the knees, hips, and back. Ski Walking is appropriate for people with sore or new knees, sore or new hips, back problems, MS, Parkinson’s, shin splints, runner’s knee, and other issues. How? When using the correct length poles, we are automatically forced to walk taller, with hips forward and the back straighter. Better posture is biomechanically a good thing! Combine this improved posture with the unique 4-Wheel-Drive action of walking with fitness poles and there is a noticeable decrease in the stress put on the weight bearing joints. It is not magic. It is just physics. The benefits of walking with poles are many. All of our Nordic Walking Poles at the American Nordic Walking system and www.skiwalking.com are equipped with REAL Nordic Walking Straps – comfortable fingerless glove type straps patented by the Salomon Ski Company. These comfortable straps eliminate the need to grip and squeeze the poles. These special straps enable individuals to use poles again after they could no longer use strapless or other strap systems due to their arthritis and/or carpal tunnel. 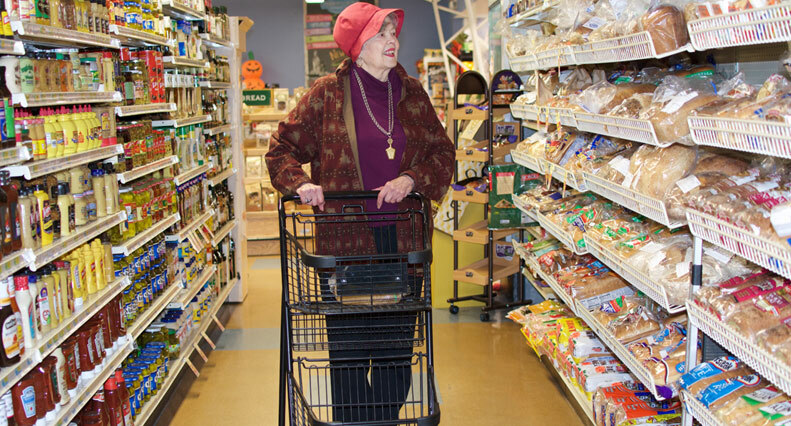 Seniors and individuals with disabilities or balance issues should avoid cheap/flimsy 2-piece and 3-piece collapsible walking poles. One-piece poles that are sized correctly are safer, lighter and much more durable than cheap/flimsy twist-lock and flip-lock 2-piece and 3-piece poles that tend to rattle, vibrate and/or collapse unexpectedly. Our one-piece SWIX and EXEL Nordic walking poles have been consistently receiving 100% positive satisfaction ratings.